Fashion is adapting slowly to the ever changing needs of our diverse society. 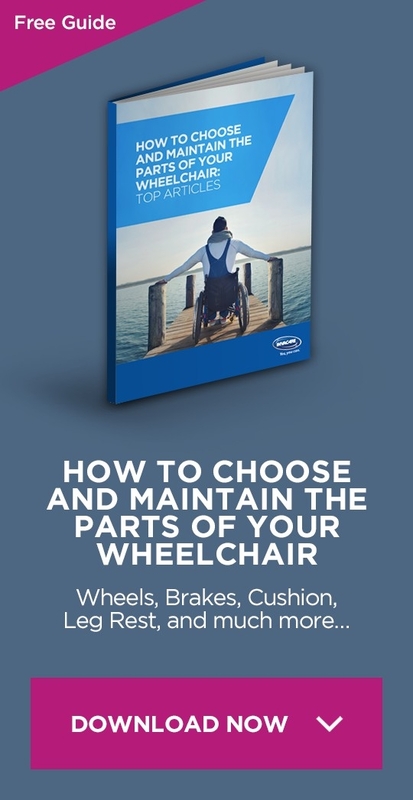 Suitable wheelchair clothing for wheelchair users is a struggle to find. Although progress is being made there is still a long way to go. Some pieces of clothes, such as gloves for wheelchair users are basic to us, but other more common clothes are not necessary thought to fit those in a wheelchair. A few years ago I realised that disabled people face huge discrimination in the fashion industry, not just as models, but as consumers too. When my sister was getting married I had the difficult task of finding a suitable outfit. One that had to meet many requirements such as being comfortable, easy to wear for a fair amount of time seated in a wheelchair, and also be suitable for a wedding at my age. Quite often I have had to resort to shopping in the children sections, as adult fashion does not seem to be inclusive and does not recognise that not everyone has the same needs. I had to go to several big department stores searching for this illusive outfit and at one particular shop I was told by a member of staff that she did not think there would be anything suitable for me, before even knowing what I was after. The real problem lies in the attitude and not in the fashion itself. This was proved when in another shop I was treated in an entirely different matter. Where I felt that I was valued as a customer. The shop assistant spent hours finding clothes that she thought were suitable and comfortable. She waited for me to try them on. It was in this shop that I found the perfect outfit for my sister’s wedding. Nowadays things have improved. There is definitely more awareness of this issue but there is still more that needs to be done. Slow progress is better than none at all. 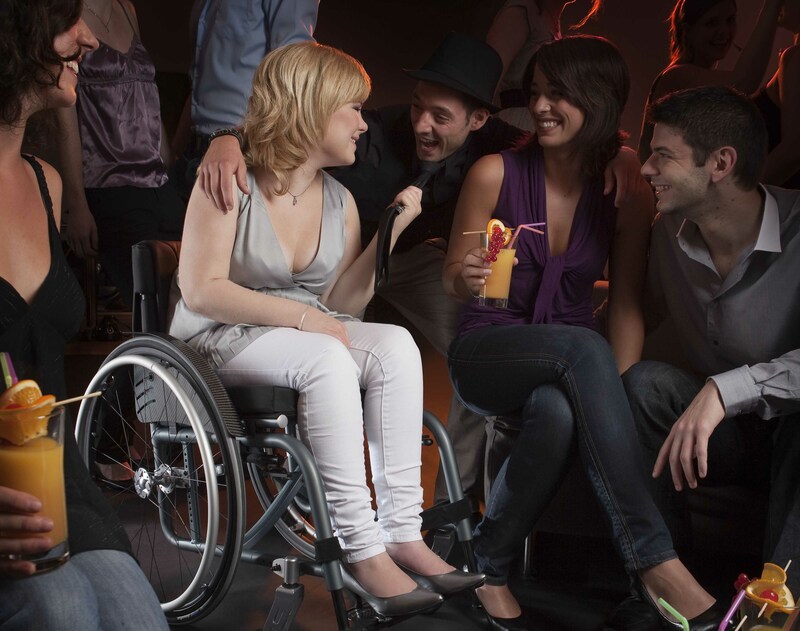 We have witnessed in the last couple of years disabled models on international catwalk shows. Celebrities and fashion designers have spoken out about the discriminatory nature of the fashion industry. 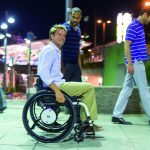 Finally we have seen the emergence of several clothing companies directed at disabled people and in particular wheelchair clothing. Some well known brands have included lines for disabled people as well. Some of these companies were started by mothers of disabled children who were getting fed up of never finding appropriate clothes for their sons and daughters. They took it upon themselves to actually do something and change the world of fashion and retail. Choosing clothes has now become slightly easier to do and I no longer detest shopping. Yet I still think there is more to be done. I appreciate that we are all different in shape, posture and requirements, but there must be a method that enables fashion to be accessible for everyone. I personally struggle to find trousers that fit me as I am of a very petite size. Also I need trousers that don’t get creased easily from sitting in the wheelchair. They need to be fairly light so if I had to sit for a long time in the wheelchair it does not get too hot for me. My other dilemma is choosing the right coat as I need something that will protect me from the cold weather and is rain proof, but at the same time it has to be light. I often struggle to sit upright with the weight of the clothes. This ultimately makes sitting very uncomfortable and sore. Plus I am unable to take my coat off when outside, therefore a light coat is much more useful than getting too hot when out and about. These struggles are becoming less frequent which is a positive sign that progress is being made. There is more variety available than ever before and I am finally achieving the balance of wearing something that is both comfortable and stylish.